I’ve been neglecting blogland in favor of pressing concerns like moving, unpacking, last-minute decorating and sugar-cookie-baking, and Christmas-festivity-hosting. I have resolutions for the new year, which I may delve into on the blog. I don’t often/ever make or stick to resolutions, but this just feels like a good year for them. How about you–are you making resolutions this year? Sidenote: I am content to leave behind 2014 because… I’ve never really liked the number four. The Chinese have their reasons for esteeming four as inauspicious, but I don’t have a reason. It’s simply my least favorite number. Five (well, one-five) sounds fresh and crisp; it feels full of possibility. 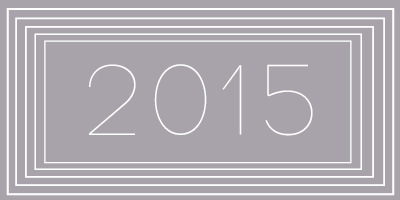 Sidenote 2: I started envisioning 2014 as some cluttered serif font and 2015 as a clean, ultra-thin sans-serif. That led me, If You Give a Mouse a Cookie style, to search my font collection and the interwebs for a font that PERFECTLY REPRESENTS THE GLORIOUS ESSENCE OF 2015. I have determined that that is not possible, or at least not possible if I want to get any sleep tonight, but for now let’s settle with Code Light by Font Fabric. (Feel free to suggest your own candidate.) Yes, I know I have a problem. As up probably know by now, I am also a font-loving person. Not quite ready for Code, but I recently changed from Comic to a plain Sans Serif. Think I finally gave up my love affair with Hobo. It seems so eighties now. Have not quite decided on an alternate serif font. I think you said you use Georgia? When I have time I will research which font uses the least ink. I think someone said Verdana, which I like but it seems a little wide. Find as I’m getting older (insert snicker) I want bigger and cleaner. Must be something to do with the eyes. Keep on writing and being spifftacular – it brightens my day.